Stecklow, Steve, Babak Dehghanpisheh and Yeganeh Torbati. 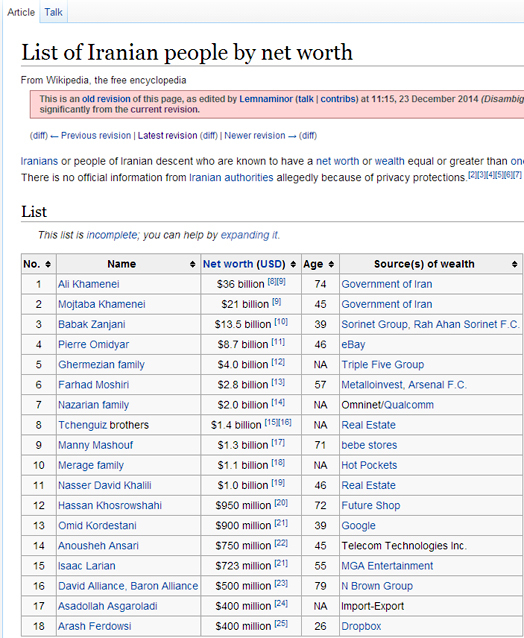 “Khamenei controls massive financial empire built on property seizures.” Reuters, November 11, 2013. BackChannels. “Ali Khamenei and the Letter from Near Mosul – A Speculation. January 16, 2015. Basiri, Amir. “When it Comes to ISIS, Iran Isn’t The Solution — It’s Part of the Problem.” Forbes, October 1, 2014.